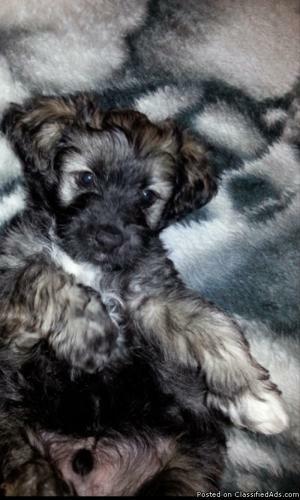 I have 1 male maltese and poodle mix puppy, born on 03/01/14 that's in need of a loving home. He is mostly all black with a mixture of tan and white. He will come with all of his first shots. He's also pad trained. He is very friendly and loves to play. If you are interested or have any questions please contact me at 240-370-6056. We are moving so we are hoping to sell quickly.